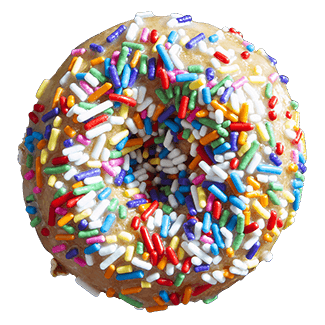 Our distinctive menu features 24 delicious custom created donut flavor combinations. Every donut is made hot and fresh to your order or special request. We serve seven unique Bubble Tea flavors plus fresh, hot, and local City Dock coffee. Come in today for a special treat. Dare we say? It will change your life! We love donuts! Some might even say it is a obsession. 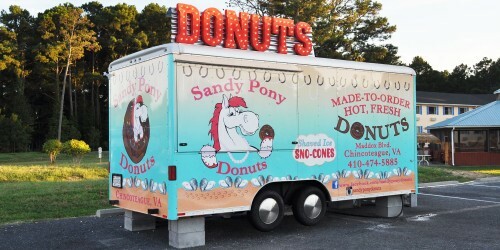 Sandy Pony Donuts has grown from our humble beginning where we were serving fresh donuts from our food truck on Chincoteague Island. Our concept pays homage to the islands famous residents: the ponies. Come in today and prepare to be amazed! Need a special catered treat? Order some fresh hot donuts made especially for you! 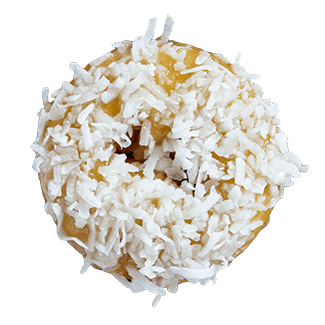 Allow Sandy Pony Donuts to provide our amazing donuts for your next business meeting, sporting event, parties, reunions, weddings, the list is endless! We love delighting everyone with tasty sweet treats from Sandy Pony Donuts. Contact us today for catering!